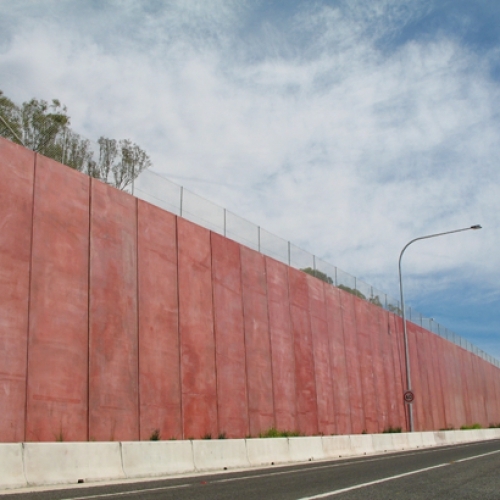 The sound walls form an integral part of the architecture of the road and place of Canberra. The design of Canberra owes its form and mystery to Walter Burley Grif?n and Marion Mahony. 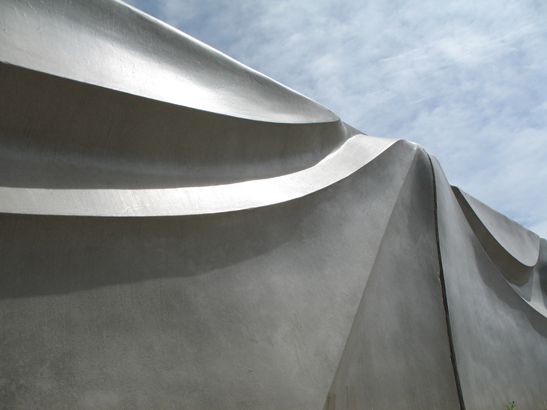 Hidden within the interlocking curved and triangular geometry of Grif?n’s designs lie anthroposophical and philosophical meanings. 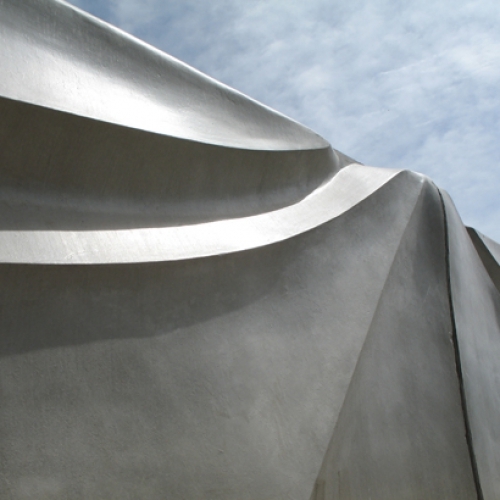 Richard Goodwin has chosen to incorporate an interpretation of one of Grif?n’s most intriguing patterns into the pre-cast concrete sound wall panels. Grif?n believed, as Richard does, that concrete re?ects the mechanical means of its production coupled with unique plastic qualities, which allow for patterning. 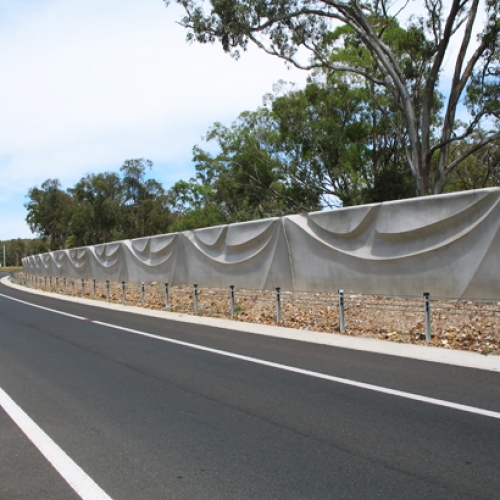 The net effect is to pay homage to Grif?n while at the same time creating new work which speaks of the mystery of Canberra as a place. 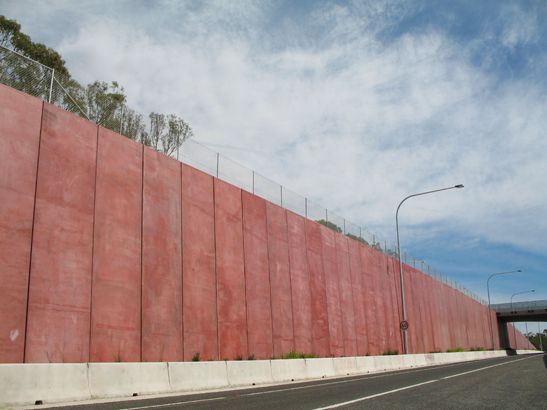 Site: These walls are situated adjacent to the Australian Institute of Sport. Form: An abstracted and enlarged interpretation of one of Walter Burley Grif? n’s concrete tile designs. 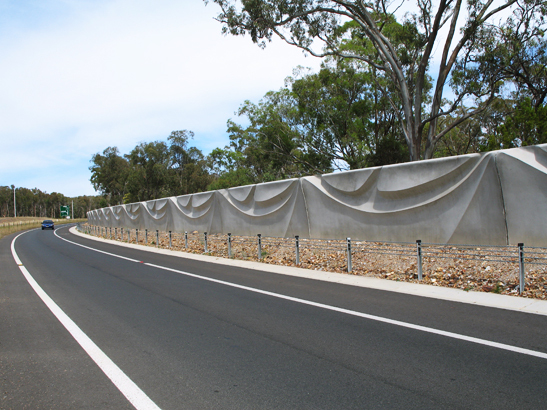 Scale: Panels ranging from 2mh to 4mh x 7m long.